Before we reveal our number game of the past season, here's a quick review of the games we've counted down already. You can click on any of the Blue underlined words to jump to that article. Yes, the game we picked as number one, the Tomahawks lost. That's not the point. 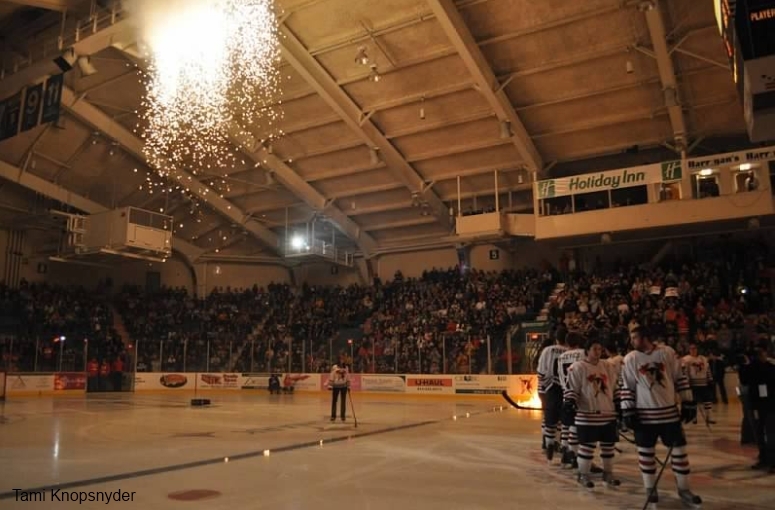 The reason this game is the number one game of the season is, it was the first home game for the Tomahawks, and the first game in two years that the people of Johnstown could cheer on their own team. 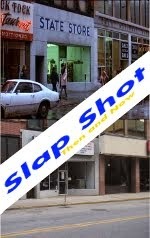 There was a party outside on the street in front of the arena hours before the game, Mario Lemieux was in the building to drop the ceremonial first puck, and the building was packed to full capacity. Here's what happened in the game itself, and it featured goals, fights, and extra hockey. There was no scoring in the first period and there was only one penalty, which was on Johnstown's Evan Hasse for roughing. The shots were 10-5 Michigan. The scoring and fighting picked up in the middle frame. First the goals. The first ever Johnstown Tomahawks' goal at home went to Brandon Reinholz, assisted by Cody Bentzel at 10:24. About five minutes later, the Warriors would tie the game. Jake Hopfner beat Chris Truehl, with the assists going to Colin Larkin and Luke Rendino. 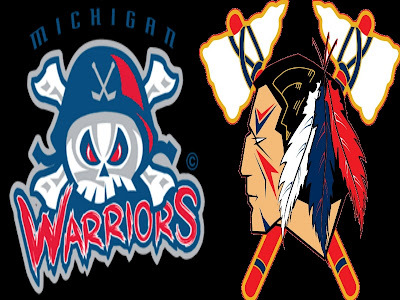 Before the period ended, the Tomahawks would regain the lead. Cobi Smith-Mass beat Michael Pesendorfer , to make the game 2-1 Johnstown. The assist went to Cody Bentzel, his second of the night. Johnstown out shot Michigan in the second period, 13-8. That would be all the scoring in the period. There were a few little scrums during the period, but the only fight was between Brandon Reinholz and Garrett Prochazka, a fight that Reinholz clearly won. You can see that fight from the video below. The only goal of the period, was scored by Michigan to send the game to overtime. The goal was scored by Jake Hopfner, his second of the night, assisted by Connor Lyons. Both teams had 7 shots in the period. Neither team could score in the overtime period so the game would be settled in a shootout. Johnstown sent out three shooters, Wallace, Gylling, and Reinholz. None of them we able to score. Michigan had four shooters go against Truehl, and AJ Marcinek, Brock Labelle, and Zack Szajner all scored goal to give Michigan the 3-2 shootout win. The final shots were 27-25 Michigan. Johnstown was 0 for 3 on the power play and Michigan was 0 for 2.